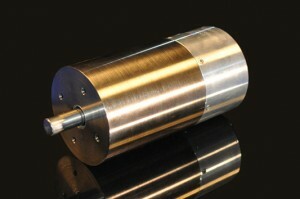 VISTA, Calif., − Jan. 16, 2013 – In its continuing commitment to product innovation, BEI Kimco Magnetics, a brand of Custom Sensors & Technologies (CST), Inc., has introduced its latest generation Housed Voice Coil Actuator (VCA), the smart LAS28-53-00A. Carefully engineered as an all inclusive package, the new VCA makes it easier than ever for OEMs to design into their products. The new LAS28-53-00A incorporates an integrated position feedback sensor with analog output for servo positioning or velocity control. The device also includes shielded cables and connectors that allow easy plug and play installation. Finally, with shaft and bearings contained in the housing, there is no need to design parts to capture the coil and field assemblies and maintain concentric position. The combination of these built-in elements eliminates the need for OEMs to add any mechanical parts, simplifying customer inventory, production and installation. The LAS28-53-00A VCA features a maximum 1.0″ stroke and a peak force of 60 lbs. Compact in size, the device measures just 2.8″ in diameter (outside) x 5.3″ long. The integral shielded cables and connectors mate easily with Quicksilver controller QCI-S3-IG controller. The LAS28-53-00A is well suited for applications where high speed, high reliability and extreme accuracy are required. Pricing is from $750 each in production quantities with delivery in12 weeks. For further information contact BEI Kimco Magnetics, 1499 Poinsettia Ave., Suite 160, Vista, CA 92081, USA, Tel: (760) 597-7042; Toll-free: (800) 572-7560; Fax: (760) 597-6320; email: sales@beikimco.com;www.beikimco.com. Custom Sensors & Technologies (CST) is a specialist in sensing, control and motion products. Through its brands, BEI Kimco, BEI Sensors, BEI PSSC, Crouzet, Crydom, Kavlico, Newall and Systron Donner Inertial, CST offers customizable, reliable and efficient components for mission-critical systems in Aerospace & Defense, Transportation, Energy & Infrastructures, Commercial & Industrial OEMs, Medical, Food and Beverage and Building Equipment markets.